When reading the Bible devoid of its historical and textual context, there is no context except the context which any person might supply for it. Such blithering nonsense has nothing to do with Romans 3:28 — which is not a Catholic-Protestant debate but a Jewish-Gentile debate. But in an argument like this the Fundamentalist ignores the historical and textual context. He uses the Bible verse as a club–as a proof-text to promote his Fundamentalist traditions of men. He creates his OWN context to the detriment of the historical and textual context. 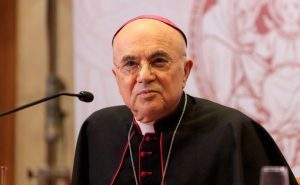 It is his argument to trip up Catholics who are not well catechized in their faith. In Romans and Galatians (and Acts 15) this is the argument: Can an uncircumcized Gentile become Christian (follower of the Jesus the JEWISH Messiah) without first becooming a Jew by being circumcized and obeying all the Laws of Moses and regulations of the Pharisees? “Works of the Law” is a technical term. It refers to those actions that made Jews distinct from the Gentiles. Paul says we are not justified by “works of the Law” or Mosaic circumcision and prescribing to all the 613 laws of Moses, but rather by faith. This is how the Catholic Church understands the New Testament and why the Fundamentalist who takes verses out of their context plays the fool and twists the Scriptures to their own confusion and the confusion of all those who are foolish enough to listen to them.